Today on the Doc On The Run Podcast we’re talking about how a pain journal can help you get back to running sooner. Before I forget I want to let you know that we created a perfectly simple Runners Pain Journal PDF for you. Just go to the show notes page for Episode #67 and download it. It’s free. You can keep track of that pain and use it as a tool to recover as fast as possible and get back to running. Runners have a higher pain threshold. A few years ago there was a research study published in the medical journal Pain1. The study systematically reviewed differences in pain perception between athletes and normally active people. The researchers report revealed that athletes possessed higher pain tolerance. The data from the meta-analysis suggest that regular physical activity is associated with specific alterations in pain perception. So the bad news as an injured athlete is that you may be prone to ignoring pain as a warning sign. 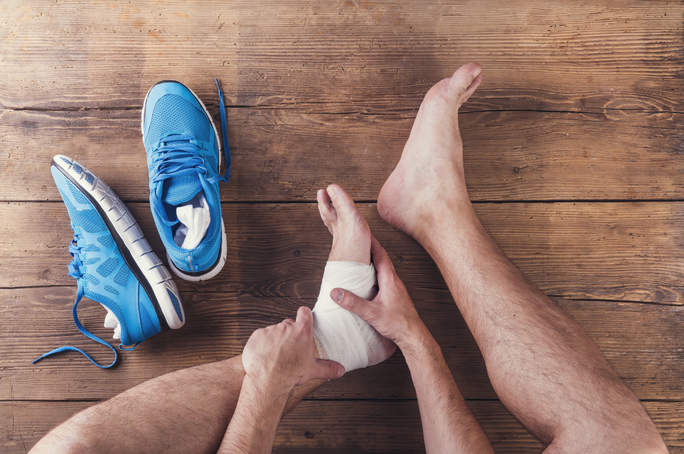 You may be at higher risk of hurting yourself, prolonging the injury and slowing your recovery since, as an athlete, you have a higher pain tolerance. Runners have a higher level of somatic awareness. All of that work you put into developing good running form, feeling for rates of intensity, noticing and charting levels of perceived exertion, all of that leads to what we call “somatic awareness.” Simply put, runners like you have the ability to tell what’s going on in your body. You can feel when your form is right. You can sense a sluggishness when you are having an off day. You can sense muscular tightness. When you get injured you really only have 3 signs of worsening injury: Pain, Swelling and Bruising. Pain is the easiest and most informative of all these signs. Pain tells you something is wrong and may indicate you are doing damage. Pain is dynamic. It can give you immediate feed-back. And because of this, it can be extremely useful. A pain journal helps you map progress. A few months ago I interviewed James Lawrence the IronCowboy. One of the most memorable moments in that episode was when he explained how some of his athletes will ask to start some new fad diet. His advice is always…keep a food journal first. You have to really know what you are eating first. You have to understand where you are and then make changes that move you from that point to your ultimate destination. A pain journal helps you convince yourself that you are getting better. 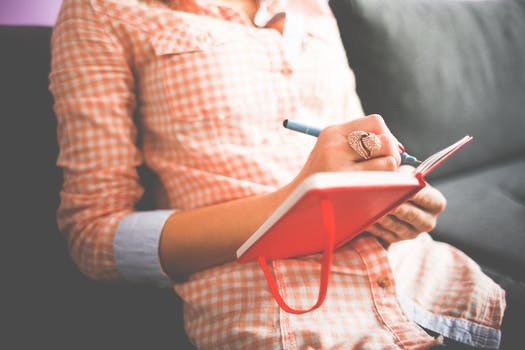 The same way a training schedule helps you see progress, see that you are realizing your goals, mapping your recovery with a pain journal can help you see trends and note progress. Since an injury is so stressful, you need to be able to see improvement. A positive outlook that comes from documented improvement will help you maintain a positive outlook and help you look for the light at the end of the tunnel, even when that light seems faint. A pain journal helps your doctor decide how to customize your treatment plan and direct your recovery. A pain journal helps you decide when it is safe to run and how much you can advance your activity and increase your running distance. If you are keeping a pain journal, don’t take pain relievers. They can skew the results by masking pain. Just this week a runner called me for a second opinion. I actually though she had a different problem than she had been told. I told her to stop taking the anti-inflammatories and her pain came back. So the anti-inflammatories were just masking her pain. The boot wasn’t really fixing anything. It just seemed like she was getting better from the boot, when really it was just the pain medicine covering up the pain. So that’s rule #1: compare apples to apples and do not take pain medicine while keeping a pain journal. How to Use the Runner’s Pain Journal. What to Track. We are going to explain everything you should log. But don’t worry, you don’t have to write any of this down. To make things easy for you, we created the perfect Runners Pain Journal PDF for you. Just go to the show notes page for Episode #67 and download it. It’s free. Date. Most injured runners seem to be poor historians. We often have pain longer than we want to admit. Log the date so you really know when things happen. Run distance. How far did you run? How many miles and where; track, street, soft jogging path or on a treadmill? Run Intensity. How hard an effort was it? Rate the exercise session on a scale of 1-10. Pain Location: Where exactly was the pain? Is the pain on the top of foot, ball of foot, heel, arch, Achilles, ankle, shin? Sometimes it changes. Write it down. Pain during your run. How much did it hurt? Log you pain during the run on a scale of 1 to 10. Did it get better, worse, or stay the same throughout the run? Did your pain go away during the run? If so, make a note of how many miles into the run, at what distance the pain went away. If the pain went away during the run, did it come back again? If so, make a note of how many miles into the run, at what distance the pain came back. What about later in the day? Did you have any pain or soreness later in the evening after your workout? If so, rate it on a scale of 1 to 10. What about the next morning? Did you have any pain or soreness when you woke up and got out of bed the morning following your workout? If so, rate it on a scale of 1 to 10. With each of these entries, try to describe the pain. What did it feel like? Was it aching, sharp, dull, throbbing, shooting, burning, electrical, or some sort of tingling sensation? All of these subtle differences can help you make a self-diagnosis or help you doctor figure out the source of your pain a lot faster. Whenever a runner calls me for an online second opinion and I have all of this info, it really makes it a lot easier to help the runner get back on track. When to Make Entries in your journal. You need to track 3 basic times: During the run. The evening after the run and the next morning after your run. This holds true for any activity. If you are just walking or doing an elliptical trainer, you want to keep track of what happens during the activity, how do you feel that evening following the activity and how your foot first feels when you wake up and step out of bed next morning. How Long Should Runners Track Pain? If you are running every day or even every other day, you can often see trends in as little as a few days and almost certainly within two weeks. For that reason the Runner’s Pain Journal we made for you is only 14 entries long. You can always print additional sheets if you need. But the reality is, you should be able to make progress quickly if you are paying close attention and making good choices as you heal. Why Runners Should Share Pain with their Doctor. 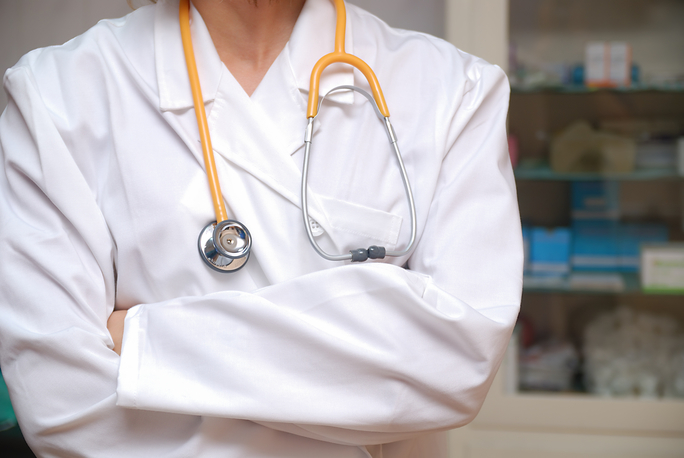 The more information you give your doctor, the easier it is for the doctor to make the correct diagnosis. The solution is often deep in the details. Part of the reason I have so much success with helping runners through online second opinions is that the runners have already been to one or two other doctors, and after those visits they seem to have started keeping better track of changes. They know better what has helped, and what hasn’t. All of that info helps me rapidly hone in on the correct solution. How to tell when it’s okay to run. Many doctors will say, “Just let pain be your guide. They imply that you have to expect to be pain free before you can. They suggest that you should be entirely pain free when you start running. But that isn’t really the case. The goal isn’t to be pain free. The goal is to have less and less pain as you have more and more activity. You have to understand the difference between acceptable pain and worrisome pain. If your pain has been decreasing to the point where it is almost gone, and you have no tenderness, its likely safe to start ramping up your activity. How to tell when it’s okay to increase your distance and intensity. The bottom line is you need to be able to increase your activity, build your strength, get stronger and run farther without having you pain ramp back up. You have to consider your timing, your goals and then do everything you can to maintain your fitness. Generally speaking, if you can run without swelling, without bruising coming back and without your pain returning and building again, then it is probably okay to run further and start adding in some intensity. But the specifics vary somewhat depending upon what specific structure you injured and what your running goals. That’s why it’s so important to find a doctor you can talk to who works with runners. 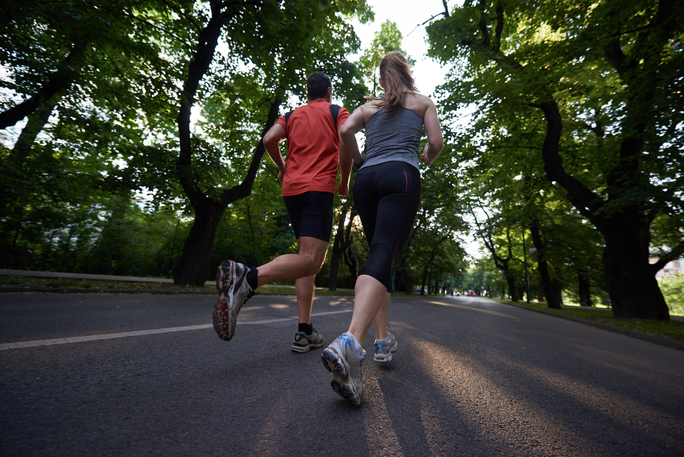 Your doctor has to be on board with your goal of getting back to running. You and your doctor have to be on the same team. Runner’s Pain Journal as a prevention tool. Almost never does an over-training injury happen in one instance. Most runners who call me for help will talk about the “sudden” injury, but then admit they felt a subtle dull ache or some minor nagging pain for days or weeks or even months that was gradually getting worse. Keeping track of any pain or soreness will allow you to notice the trends in discomfort that can build over time. The earlier you identify the pain, the easier it is to prevent the true catastrophe that can keep you from running. The more closely you track and evaluate your pain as you recover, the faster you can adjust, increase your mileage and ramp up your running intensity without having to wonder whether or not you are staying on track. Again, the goal is to keep increasing your mileage and intensity without the pain creeping back in. You can really only do that if you are keeping track with a pain journal. To make things easy for you, we created the perfect Runners Pain Journal PDF for you. Just go to the show notes page for Episode #67 and download it. It’s free. 1. Tesarz J, Schuster AK, Hartmann M, Gerhardt A, Eich W. Pain perception in athletes compared to normally active controls: A systematic review with meta-analysis PAIN, June 2012. Vol 153; #6, p. 1253-1262. «« Can I Run After Wearing a Fracture Boot?